Disclosure – Thank you Expressions Vinyl for supplying the vinyl for this post. Some of the links included are affiliate links which means at no additional cost to you, I will earn a commission if you make a purchase through those links. Thank you! 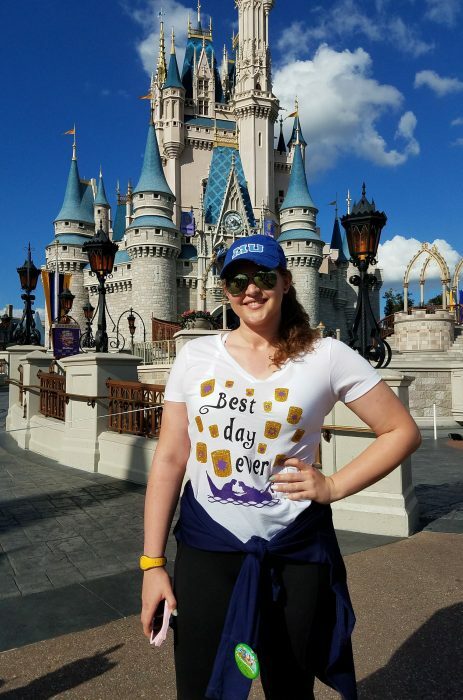 If you have ever planned a Disney Vacation, one thing you probably saw on your Pinterest searching adventures was Disney shirts. 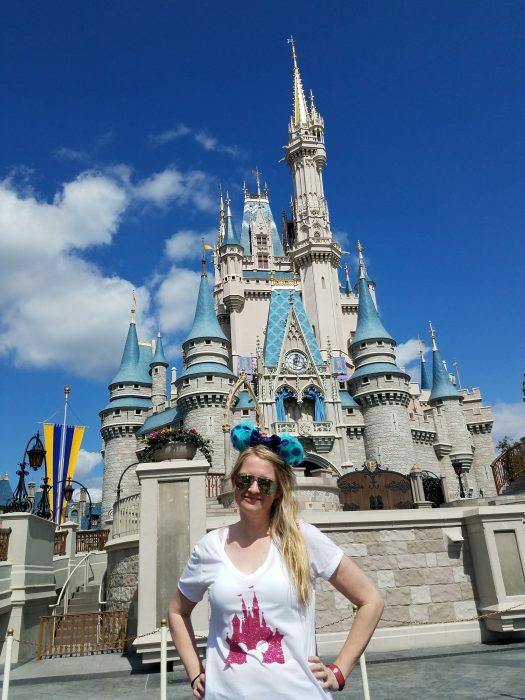 You can buy Disney shirts online on sites like Etsy. 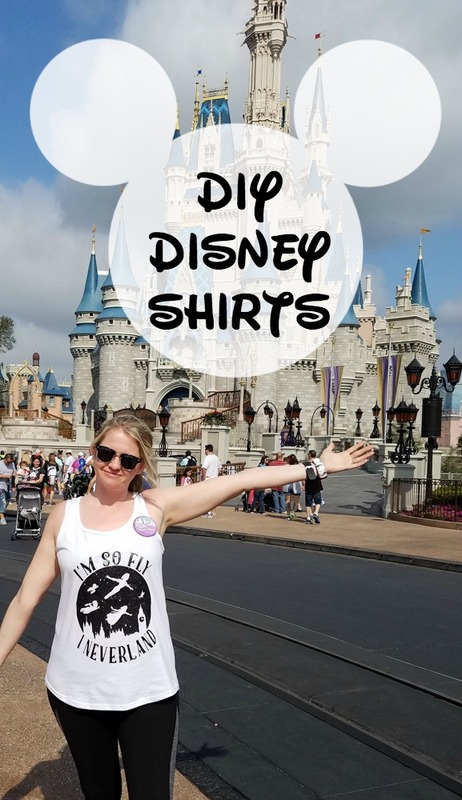 However, if you are feeling crafty you can make your own Disney shirts! 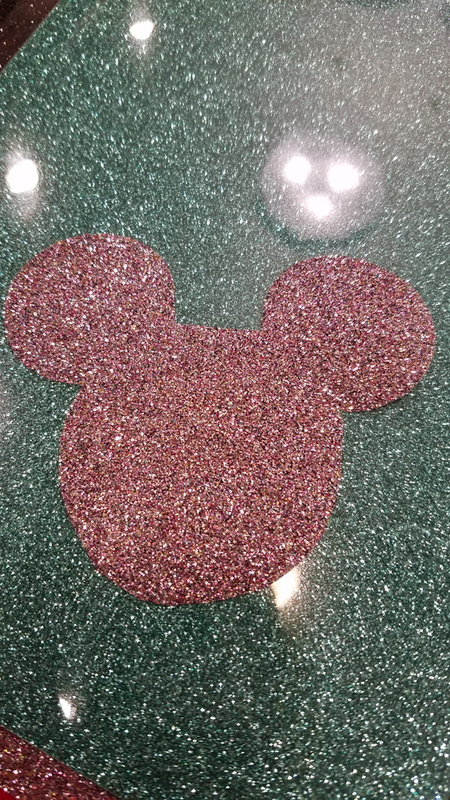 I decided to make my own for our recent trip to Disney World. 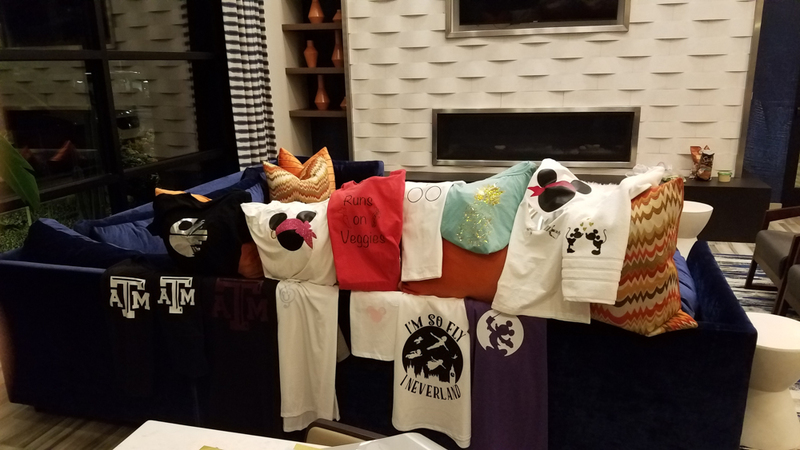 In fact, I got together with a few other bloggers and we had a T-Shirt making party! 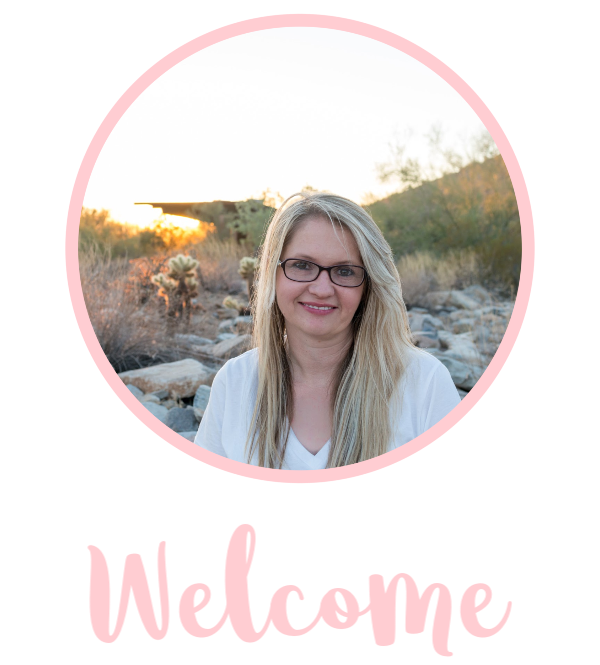 Etsy – As much as I’d love to create my own designs, I just don’t have the time. Plus, I am happy to support others who do this for a living! Facebook – You can also find FB groups where people share their graphics for personal use. Just search “Disney graphics”, “Disney Cricut”, etc on Facebook. Google – You can search the web and look for SVG files. If you are not able to find SVGs you can convert regular images on sites like PicSvg.com. 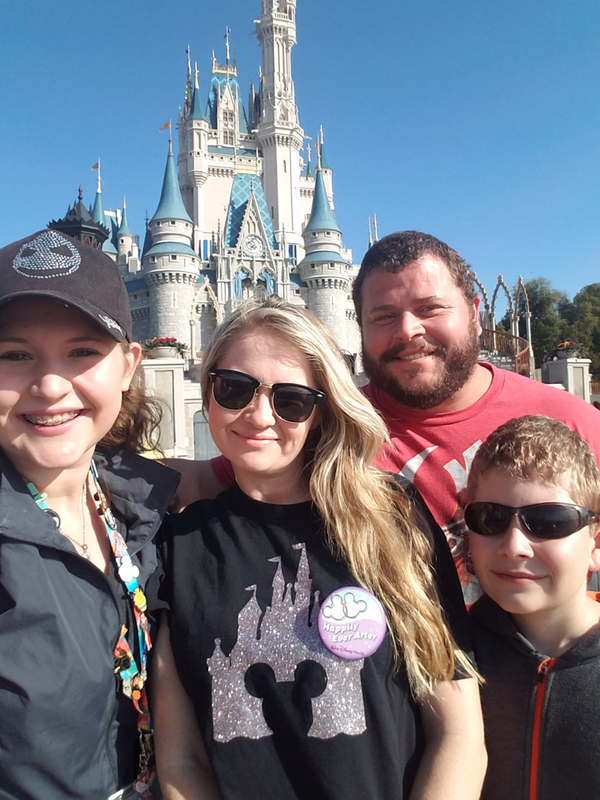 For more about where to find images and how to upload them into Cricut Design Space, check out this post! 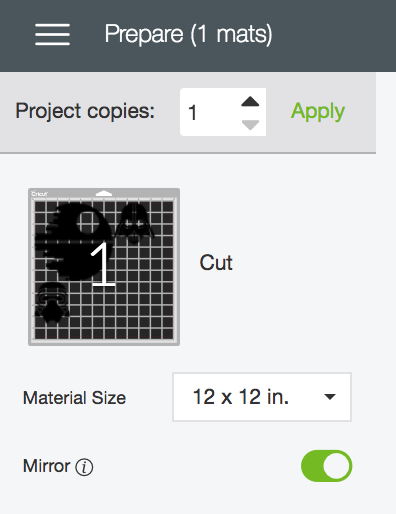 The machine I use for cutting files is the Cricut Maker. I upload all of my images in Cricut Design Space and I am able to cut these images in minutes! You can use an iron but you have to be prepared to apply a massive amount of pressure. You can buy inexpensive shirts on Amazon! To press the images, put the images shiny side up and follow the directions with your vinyl. 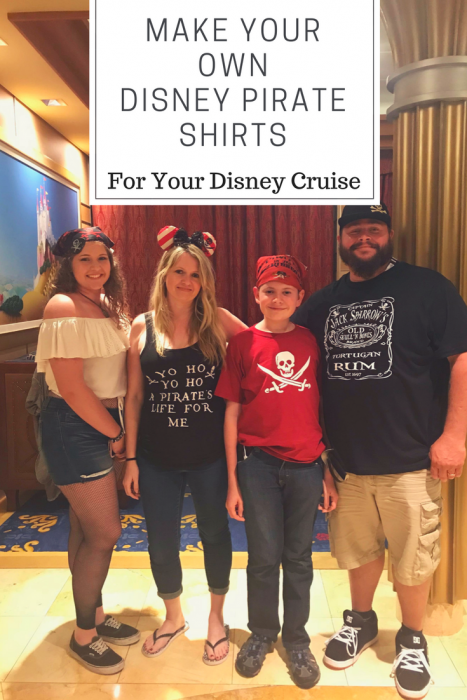 Tips for making your own Disney T-Shirts for your trip to Disney! This shirt is made with glitter vinyl, the “confetti” color. This is definitely one of my favorite vinyls! The glitter is strong and vibrant! 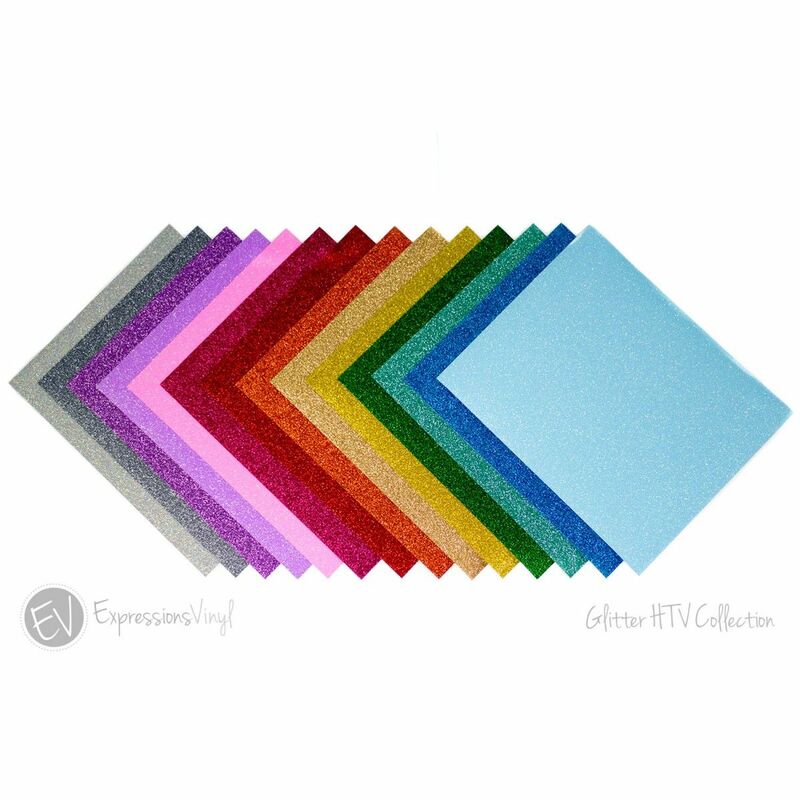 You can buy this confetti colored heat transfer vinyl, here! When it comes to washing, I just washed it on a gentle cycle and it held up nicely! I also didn’t find glitter everywhere after wearing it and washing which is a plus! I washed this shirt and the glitter stayed intact! 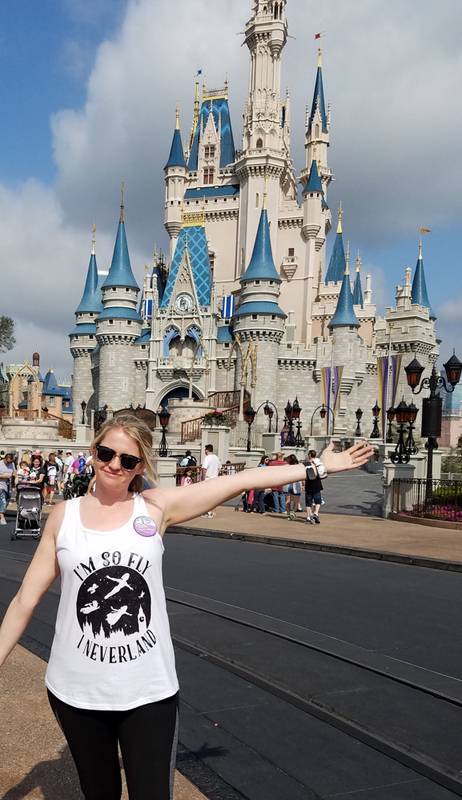 Get the SVG on Etsy: Disney Castle with Mickey SVG File! This is a plain black T-shirt found in the men’s section. If you know me, you know I am a big Star Wars fan. 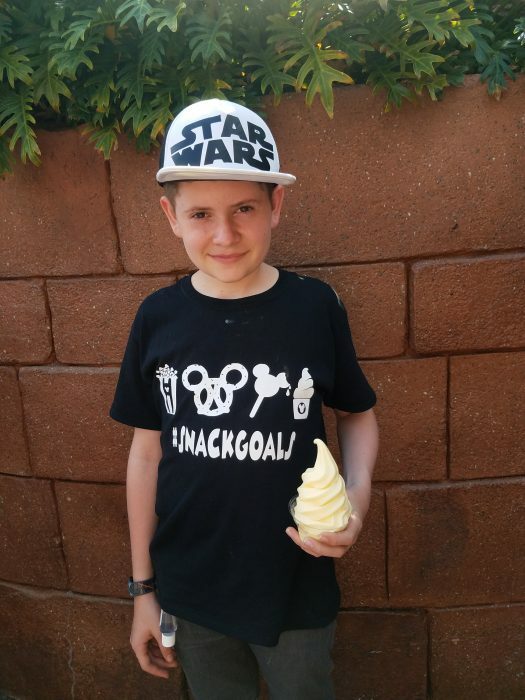 We knew that we would be at Hollywood Studios during our vacation so I really wanted to make a shirt that I could wear to the park that day. 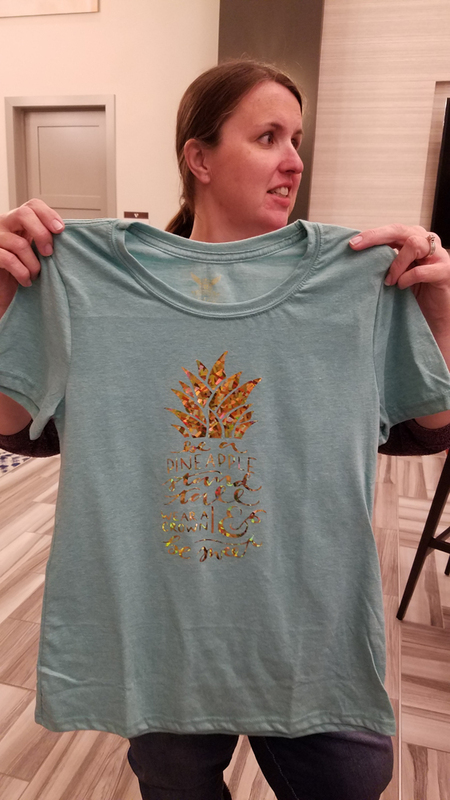 For this shirt, I used the silver foil heat transfer vinyl here! I absolutely loved this vinyl and can’t wait to make another shirt with this vinyl soon. The vinyl stayed on well and went onto the shirt with easy. 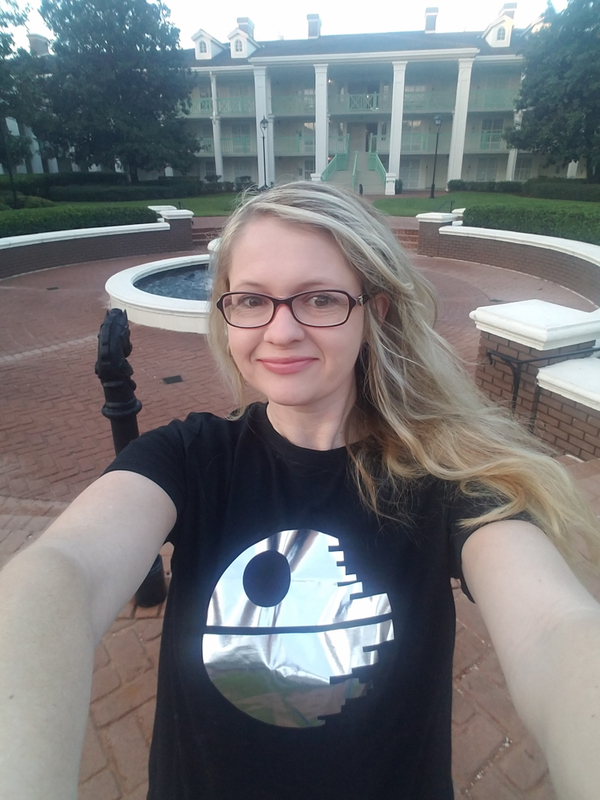 The graphic is available on Etsy here: Death Star SVG File. The shirt I used for this one is from Target. I thought this graphic was super cute and clever so I couldn’t wait to put it on a shirt. This shirt is layered with two different vinyls; black and black glitter. I put the glitter in the middle to add a little sparkle to the Peter Pan scene. The black glitter is honestly one of my new favorites! 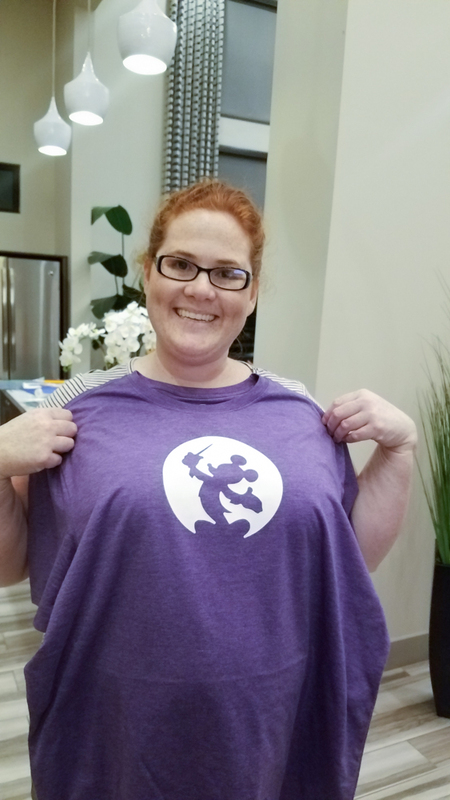 You can get the graphic here: I’m So Fly I Neverland SVG File! The shirt is from Amazon: Under $5 Tank! 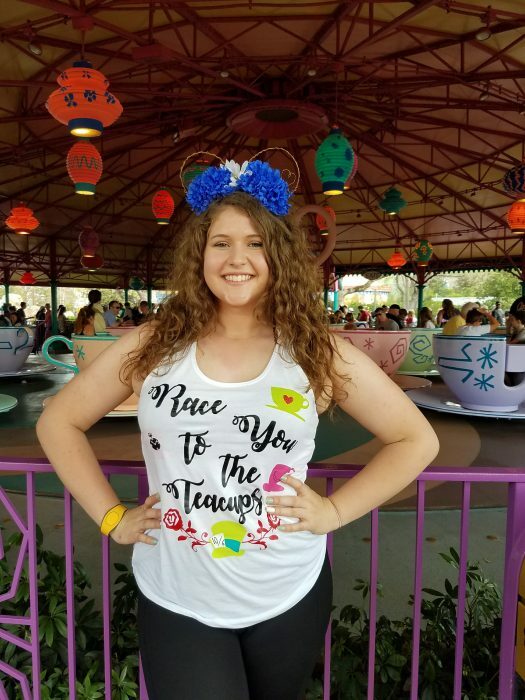 I made 3 of these shirts for a recent Disney Cruise with white HTV. 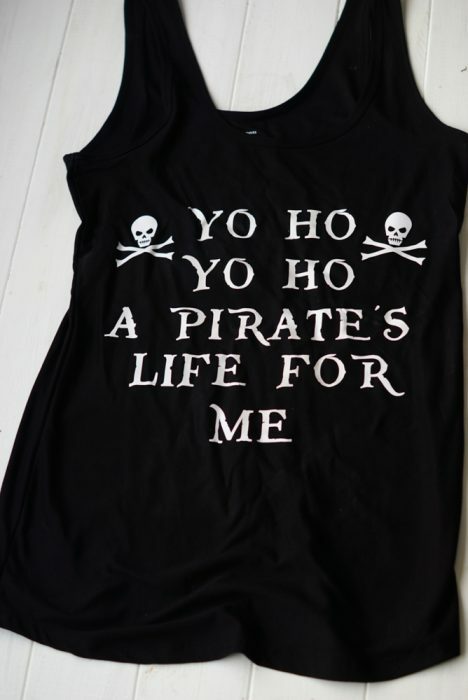 This link will take you to the tutorial on this Pirates shirt! Make sure you have your vinyl set up correctly. The liner side of the HTV should be laying on the mat. Make sure your “mirror” setting is set before cutting. When it comes time to apply the vinyl, lay your shirt flat and use a ruler or measuring tape to assure it is set where you want it to be. You’ll also want to make sure your cutting machine is on the correct setting. It’s a good idea to wash and dry your shirt before setting the vinyl on it (do not use fabric softener). Use quality heat transfer vinyl – I love the vinyl from Expressions Vinyl because it’s quality and always holds up. I have used other vinyls and haven’t found this same quality. 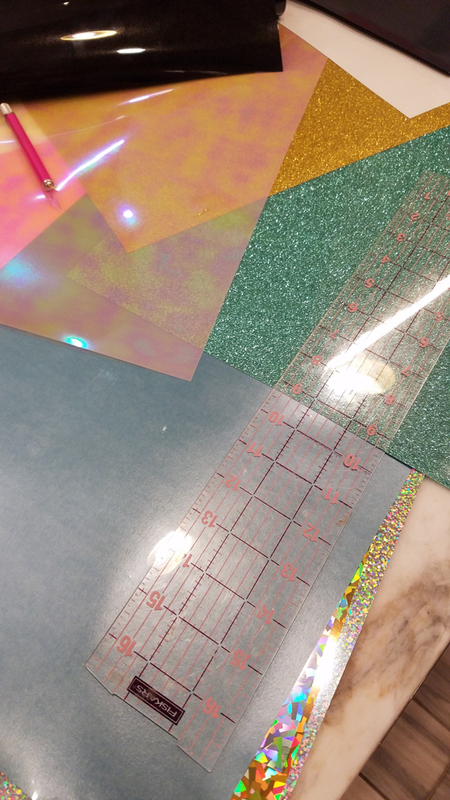 Plus, the variety of heat transfer vinyl is amazing! They have other varieties that I haven’t even posted about including holographic and glow in the dark! You can find more information on their website: ExpressionsVinyl.com. 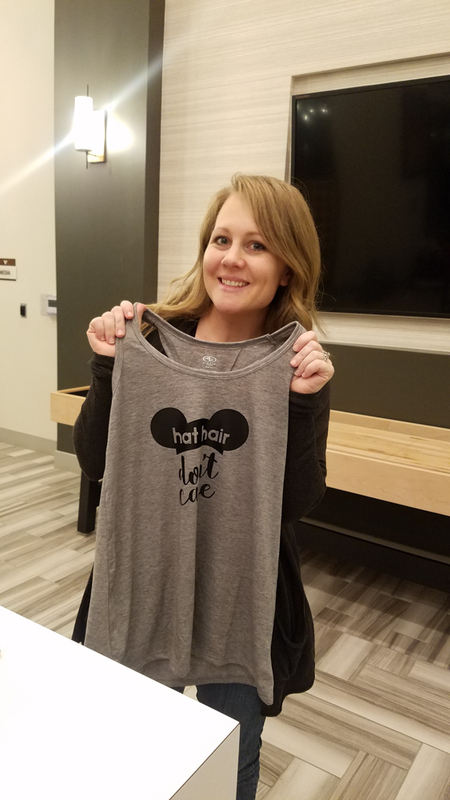 Use a heat press – Using a heat press made it to where we were cranking out shirts in just minutes! If you plan on making a large number of shirts, it may be worth looking into purchasing one from Amazon ! If you don’t have one, you can use an iron. 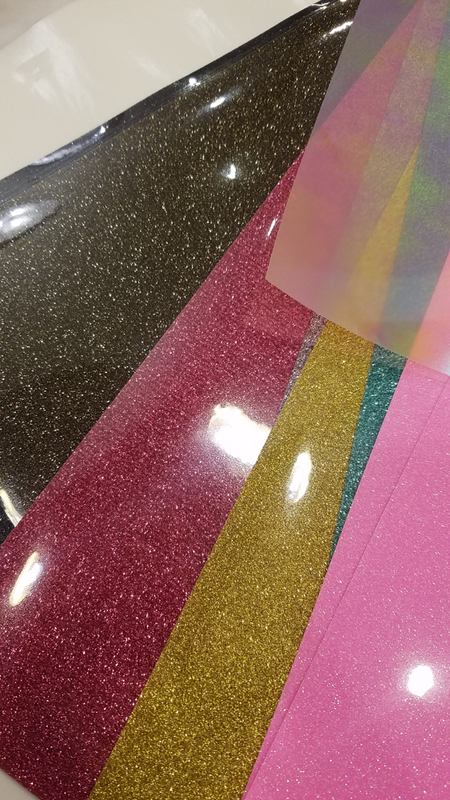 Just make sure you apply a good amount of pressure when applying your vinyl. Be Patient – When you first start the process, there’s a learning curve and more than likely you will make mistakes. Take your time to learn and apply the vinyl to your shirts. Remember, those mistakes will help you become an expert in no time! When you find a good deal, stock up! I usually find inexpensive Ts and Tanks at Target, Walmart, and Old Navy. I’ll be honest, I rarely pay more than $5 for a T that I place the vinyl on!